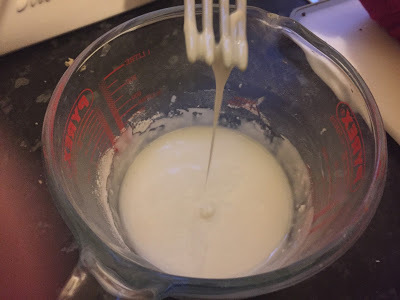 Ready-made cake or cake mix packet. 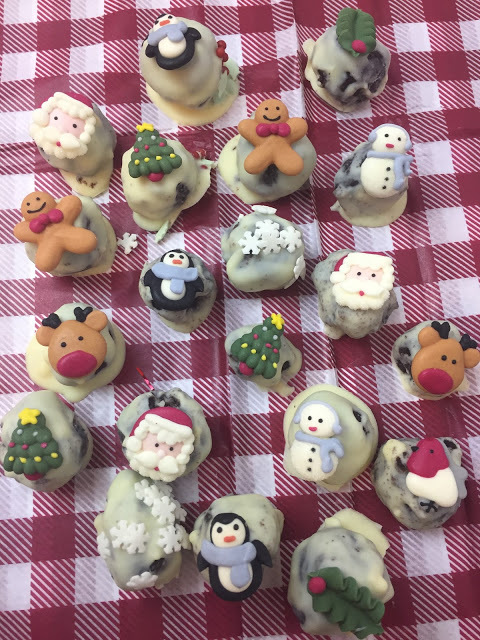 Ready-made Christmas themed Icing toppers. 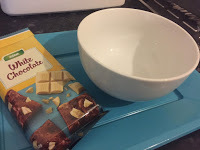 1.To create the cake balls, you will need to prepare some cake mix. You can either use a ready-made cake mix or find use a recipe to create cake from scratch. 2. 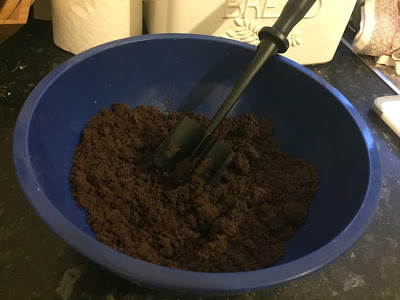 Place the cooked cake into a bowl and mash it into breadcrumb size pieces. 3. 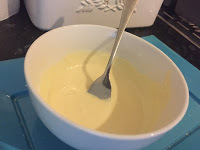 Next, add 4 tablespoons of frosting or add icing sugar until the cake balls are able to stick together. 4. Roll out some balls of cake and place onto a plate. 5. 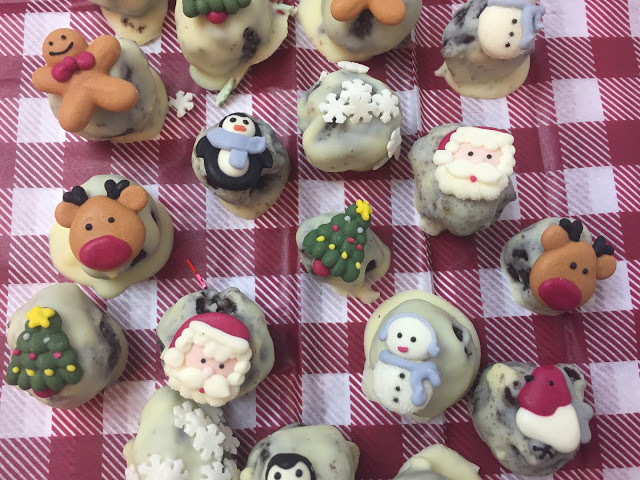 Melt the white chocolate and dip each cake ball into the chocolate ensuring full coverage. 6. 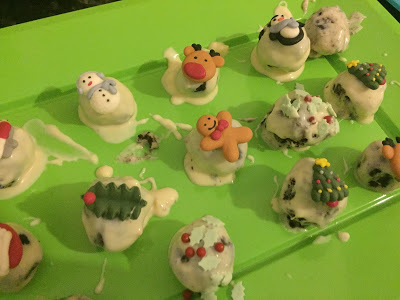 Place the chocolate covered cake balls on a plate and decorate with sprinkles and or icing toppers. 7. 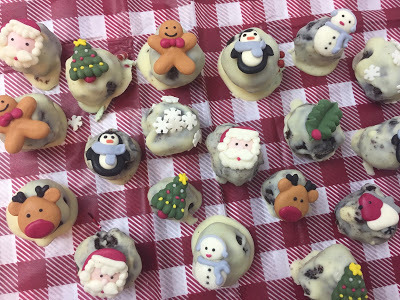 Be sure to place the toppers on the balls before the chocolate begins to set. 8. 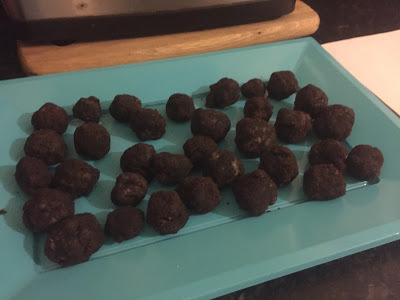 Once you have made all the cake balls, place them into a fridge to speed up the setting process.